Azure Stack extends the Azure ecosystem opportunity by helping enterprises grow their Azure business and reach a larger addressable market through hybrid cloud scenarios. It is an extension of Azure that brings the agility and fast-paced innovation of cloud computing to on-premises environments and enables entirely new hybrid cloud scenarios. It offers consistent hybrid cloud platform, providing an ideal fit for organizations that want flexibility without having to build applications in a different way. Microsoft 365 brings together Office 365, Windows 10 and Enterprise Mobility + Security, delivering a complete, intelligent and secure solution to empower employees. It is tailored to address the commercial needs from the largest enterprise to the smallest business, in form of Microsoft 365 Enterprise and Microsoft 365 Business respectively. They help companies achieve more together by better connecting employees, customers and suppliers, protect company data across devices with always-on security and simplify the set-up and management of employee devices and services with a single IT console. They also empower mobility among employees - to get work done from anywhere, on any device. SQL Server 2017 provides intelligence, on a trusted industry-leading, most secure data platform, and enables innovation for all the data of a company. It enables companies to engage market leading solutions for every workload including Advanced Analytics, Business Intelligence, Data Warehousing and OLTP. 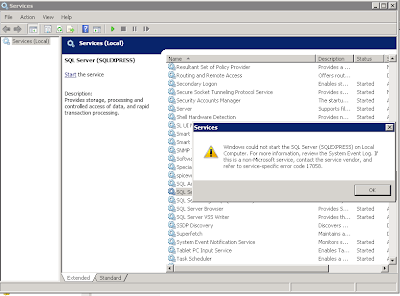 SQL Server is the most intelligent, fastest and most secure database, and the most intelligent data warehouse that enterprises can rely on for operational analytics. The launch took place at the event themed “Enabling Digital Transformation with Microsoft Cloud” that had participation from industry leaders and decision makers from various sectors. It was supported by platinum sponsors such as Cisco Systems (Malaysia) Sdn Bhd, Citrix, DXC Technology Malaysia Sdn Bhd, Hewlett Packard Enterprise, Lenovo Global Technology Sdn Bhd in addition to other gold sponsors and exhibitors. 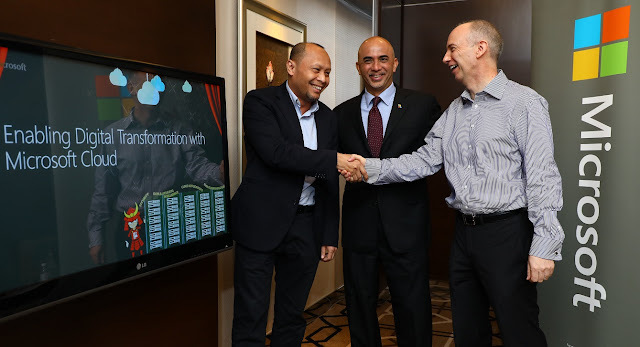 (L - R) : Wan Murdani Mohamad, Director, Enabling Ecosystem, MDEC; K Raman, Managing Director of Microsoft Malaysia and Nigel Cain, Chief Technology Officer for Microsoft Enterprise Services, Applications and Infrastructure Domain in Asia Pacific, Greater China, Japan and India at the launch of Microsoft’s latest cloud offerings at Kuala Lumpur on 4 October 2017.